Why Are We So Angry About Hell? An article I recently wrote for the Huffington Post. You can also view this article here. As an author that travels and speaks in evangelical circles, I read constantly. About two books a week, along with subscriptions to 10 or more magazines and the usual diet of blogs and news. It’s a busy pace, but I have a good reason for it. I speak to about 100,000 evangelical Christians a year, and people are always asking me what I think about the latest book. Over the past few months, one of the most common questions I get is what do I think about Rob Bell’s book Love Wins. Is Rob Bell right that hell is figurative and might not be forever? Or is John Piper right that everyone that hasn’t personally accepted Jesus Christ as Lord and Savior will be eternally tormented in literal flames of fire? I don’t appreciate it when people duck important issues by being wishy-washy, so let me say upfront that I lean toward the belief that hell is a real place for those that reject Jesus. The nature of hell is less clear, but the reality that the scriptures teach of something very bad happening after death to those who consciously reject Christ is quite clear. Unlike most authors who write on this site, I actually — cue the boos! — like John Piper. Love him or hate him, Piper is an excellent expositor of Scripture. He knows how to build his case from Scripture, and how to remain firm in his convictions. I admire that in a person. I also appreciate what Rob Bell has done with Love Wins. I pre-ordered the book long before the date of its actual release, so when Amazon delivered the book to my door, I ripped open the box, started reading — and couldn’t put it down. One of the things that struck me was how similar Rob Bell’s approach to Scripture is to John Piper’s. Both authors present diametric opposite views of hell, yet both authors rely heavily on Scripture to prove their case. John Piper relies on one set of Bible verses to prove his case. Rob Bell relies on another set. Bell’s critics like to say that he doesn’t believe in the authority of Scripture, but I didn’t get that impression at all after reading Love Wins. I think that Rob Bell takes the Scriptures very seriously. 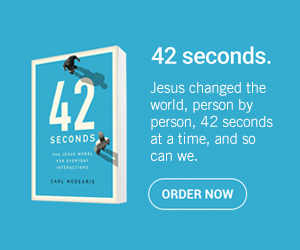 I don’t think he’s trying to sell a watered-down version of the Gospel so that he can make a name for himself, as some of his more cynical critics claim. I think that Rob Bell is as firm in his convictions as John Piper is, and for all I know, he could be right. Actually, I hope he’s right. Something that’s been troubling me lately about this whole discussion is how often Christians have come up to me and said things like, “What if Rob Bell is right? I mean. If everyone gets into heaven eventually, then what’s the point in talking about Jesus to people?” Some of them even look disappointed at the possibility that hell might be empty and heaven might be full. It’s almost as if they want God’s grace to be limited to Christians only. My question is this: WHY does it matter? Would it actually change how I live my life if everyone is saved in the end? I would like to think that it wouldn’t. It’s true that some people are motivated by fear. I would assume that some people do begin to follow Jesus because they are afraid of going to hell. And I would guess that some of my Christian friends are motivated to share their faith so that these others will NOT go to hell. But overall, fear is a poor long-term motivational force. Love is the greatest motivator of all. I’m sure this is a controversial point, but we need to get beyond whether John Piper or Rob Bell is right. Loving God and loving people is the greatest commandment and far more important than whether or not there is a literal hell. Our motivations for wanting hell to exist (or not) might expose something inside of us that needs to become more like Jesus. After all, the one thing that Jesus clearly and always focused on were our internal motivations. Whether people without a relationship with Jesus go to hell and burn, or go to some other place without God or simply cease to exist — that’s not good. Perhaps if we spent less time thinking about what and where that place is, and more time loving our neighbor, and even our enemies, the ones who might go “there” won’t. Thanks for transcending the simplistic dynamic of who’s right? And focusing on what really motivates us as Christians. Love God, Love people..here, there and everywhere is our church’s “slogan”(mission statement) and aptly pointed out as the bottom line in your article. Well said, and as it is with many biblical conundrums, the answer to whether Rob Bell is right or John Piper is right is probably simply yes. And….it’s about our heart. It’s about our intentions and motivations. It may not even be about “who’s right” at all. Bell and Piper both love God and are passionate followers of jesus who want the same thing – everyone to know how wonderful Jesus is. The idea of doctrinal rightness is a great thing to strive for as long as it’s bathed in a huge dose of humility and grace for the other. I don’t see a lot of that in this debate (between the two “sides”). Let’s focus on the main and plain…. Thank you Carl for this. I come across daily people who talk about Hell, and wanting their friends to go to heaven. But their lives do not reflect Jesus, and they have no compassion to those who are different. Other people are struggling with a way of life they have got into which they think is incompatible with want a ‘Christian’ should be. They are told they are going to Hell, and they reject the Christian faith on that basis. I wish we could open up more discussion of what Jesus said, who he mixed with, and who he didn’t get along with. Jesus says in Matthew 23, you go to the ends of the earth to convert one person and make him twice the son of Hell. Oh, I better watch what I say. Hmmm… Am I doing it here?!? I better start loving my neighbours and my enemies.